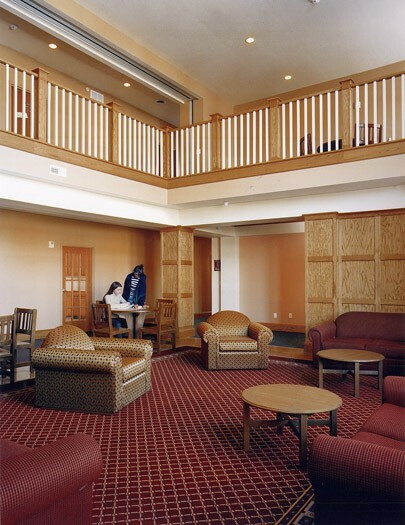 Students enjoy a more intimate and friendly living environment in contrast to traditional dormitory housing in this TMP design. The house-like units are similar to traditional fraternity/sorority houses and can accommodate 36 students. Double occupancy rooms are adjoined by shared bathrooms. All furniture is movable, including wardrobes, and room plans are organized to maximize furniture layout options. Each house contains a commons, kitchen and laundry room. Doors, railings and portions of flooring are constructed of wood to impart warmth into the facilities. 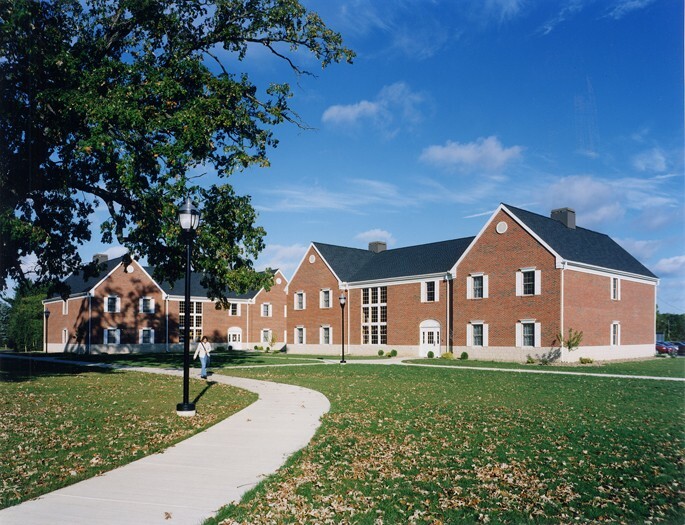 Exterior features consisting of pitched roofs, brick walls and white trim echo the American colonial character of the campus. Touches of wood impart warmth into these intimate living environments.